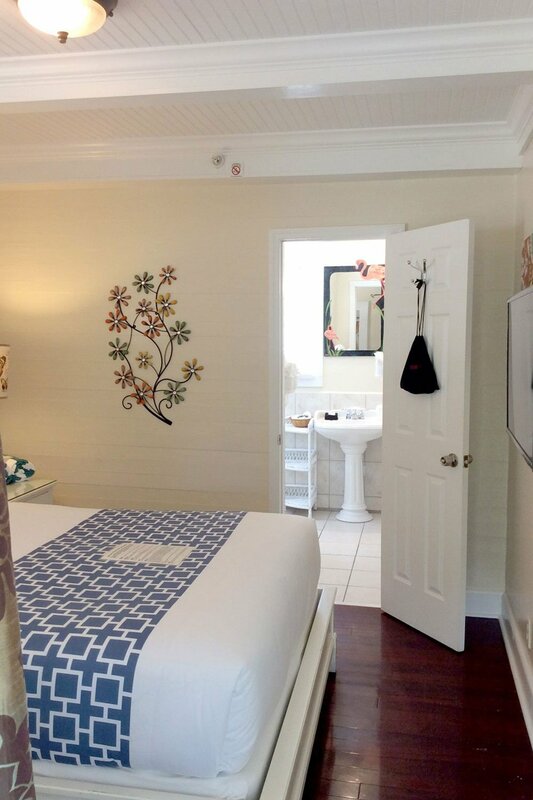 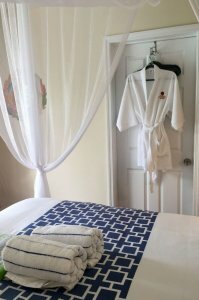 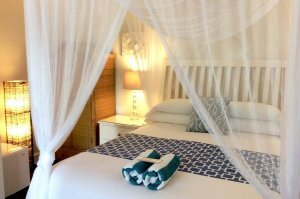 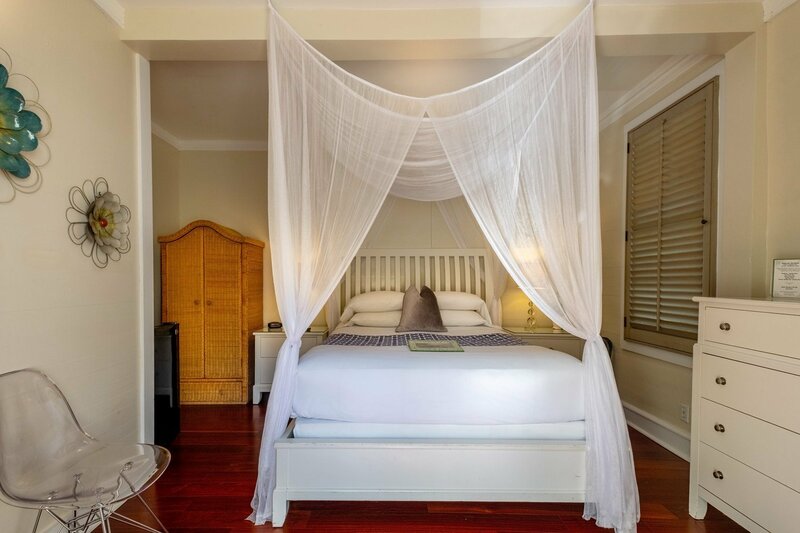 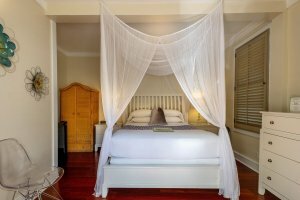 Although smaller than our other room types, these rooms have everything you need for your Key West Vacation. 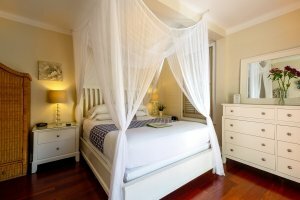 Each one is slightly different from the next, and some but not all have canopy net beds. 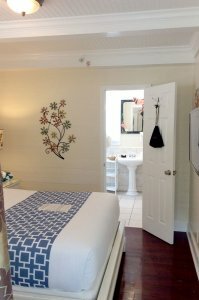 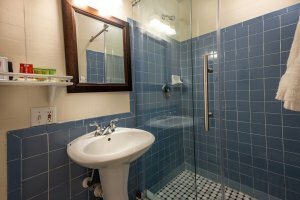 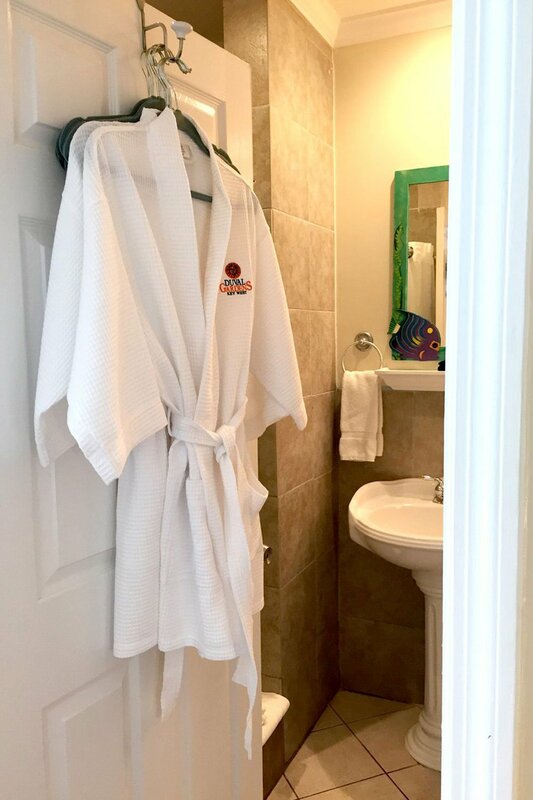 All of our queen rooms offer a nicely tiled private bathroom, mini refrigerator &, flat screen TV. 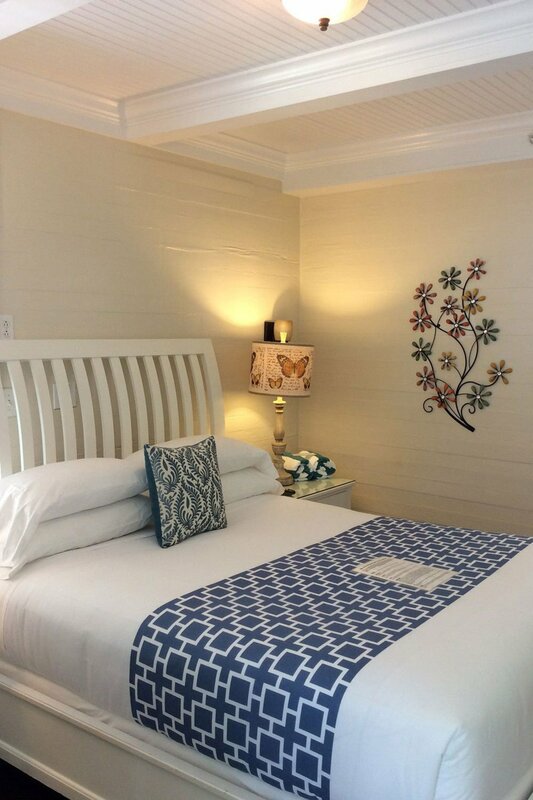 Our queen rooms are located on both the ground and second floor. Please specify when booking if you have a preference, as it may not always be possible to fulfill last minute requests.